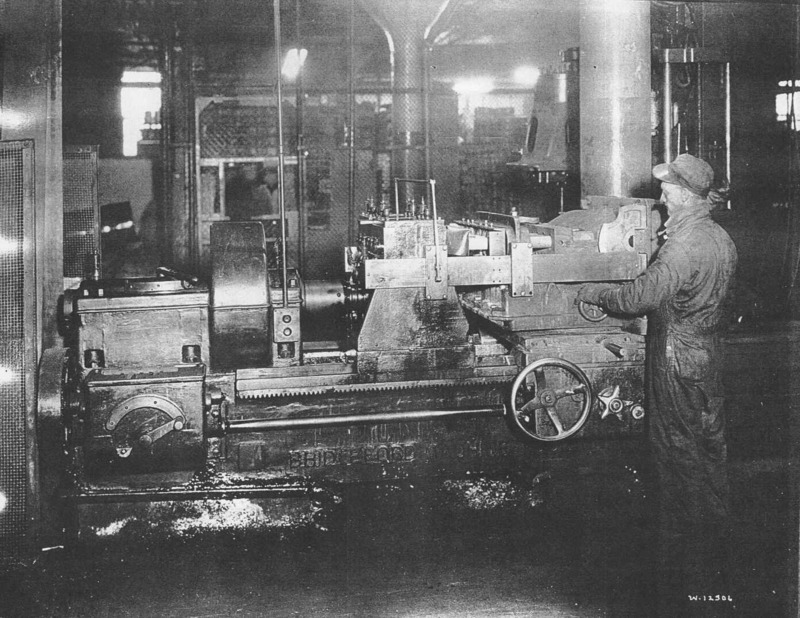 Here is one of my favorite machines, we bore all six cylinder holes at once with very little effect. Bob here loads a new block into the Bridgeford boring machine and then has to attach alignment fixturing onto the machine head and the engine block. Also you can see the importance of that first work station we saw where we face the engine blocks edges. The alignment fixture used here bolt into some of those earlier machined places. You can see the size of the machine, and the floor is shaking right now accounted of this machine running. This is also a very dirty and greasy machine to operate.